Y'all, the couples we work with tend to fall into one of three categories: 1. I want to adopt them, 2. I want to be adopted BY them, or 3. I am completely inspired by them. 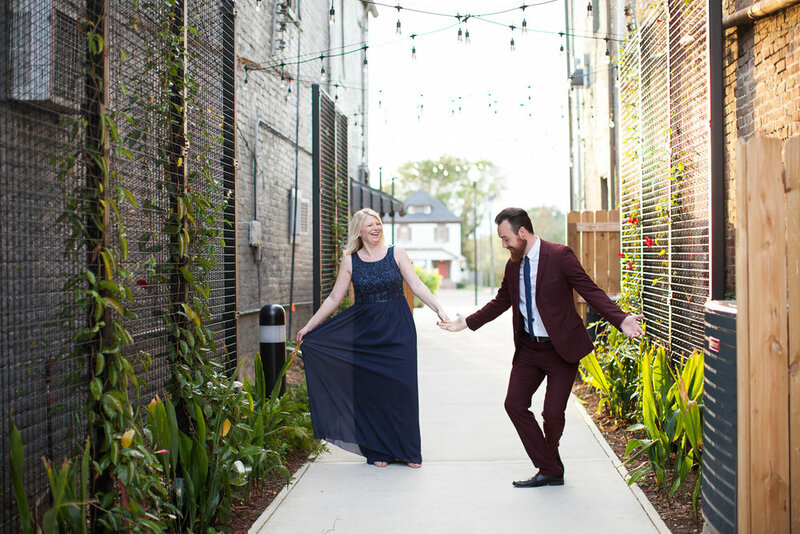 Kathryn and Coleman were so gentle, lighthearted, and loving with one another, plus so incredibly stylish, that they immediately captured my heart & my #3! 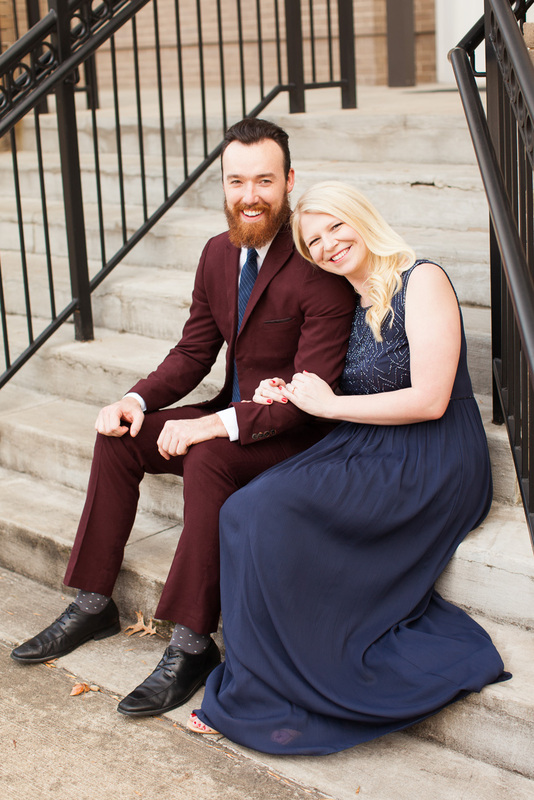 One of my goals when we first meet with our couples is to help them feel comfortable with us - well, Kathryn and Coleman turned the tables on us! They are the kind of people that have such a warmth to their personalities that you immediately feel SO comfortable with them! Plus, they're adorable. Did I say that already? Because they are. 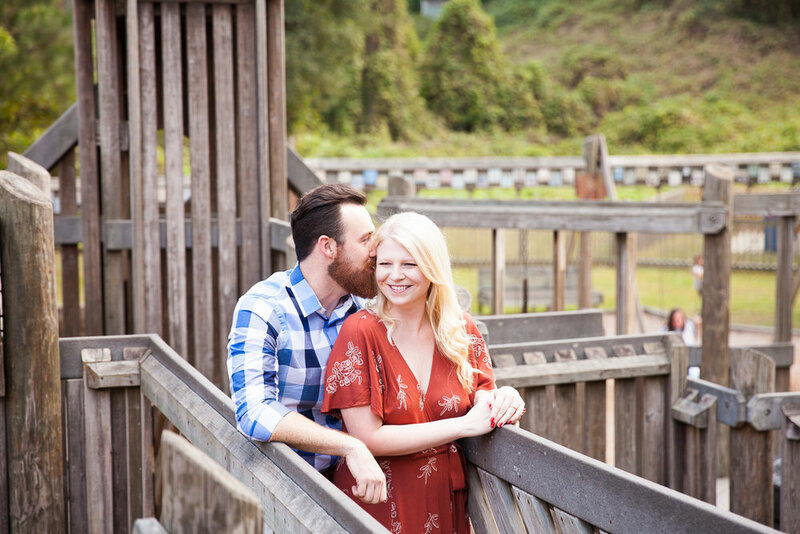 We began their engagement session at Lee Park in Columbus. The day he proposed to Kathryn, Coleman created a scavenger hunt for her which ended at Lee Park - and he had hidden the ring there! (Don't worry - he had a scheme to help make sure that her precious ring would be safe from accidental discovery!) So naturally we had to visit the castle again. I love love LOVE how much fun we had at this sweet park! 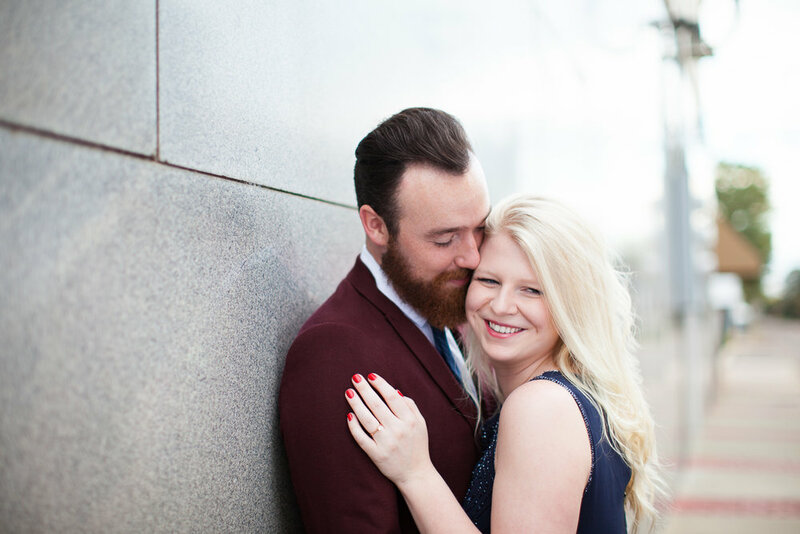 At the time of their engagement session, Kathryn and Coleman were busy planning their amazing December evening wedding. So I just had to finish up their session with a few after-dark images! It was lovely to walk around quiet downtown Columbus and realize that in just a few months, we'd be celebrating their wedding day on the same streets! I love downtown Columbus weddings! And to whoever is responsible for hanging all the wonderful patio lights in our alleyways downtown... thank you, thank you, thank you! 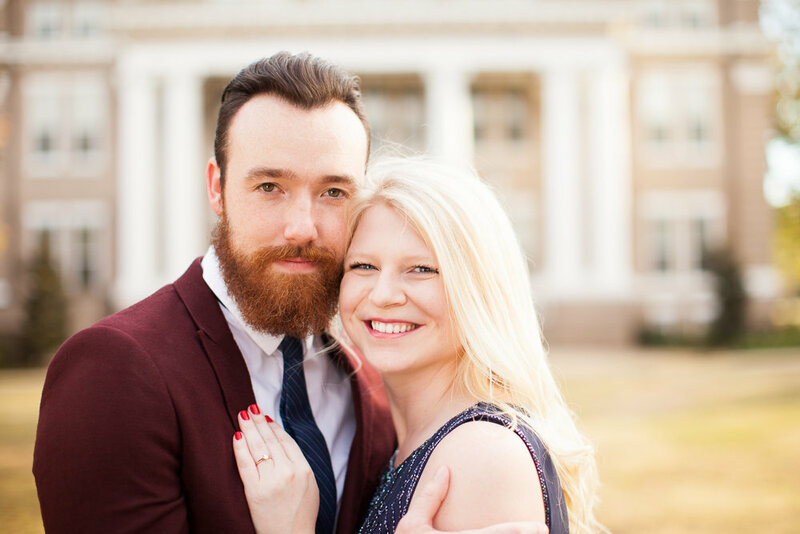 Kathryn and Coleman celebrated their happy day in a lovely, intimate evening ceremony on December 30, 2017. I can't wait to show you the beautiful images from their day! 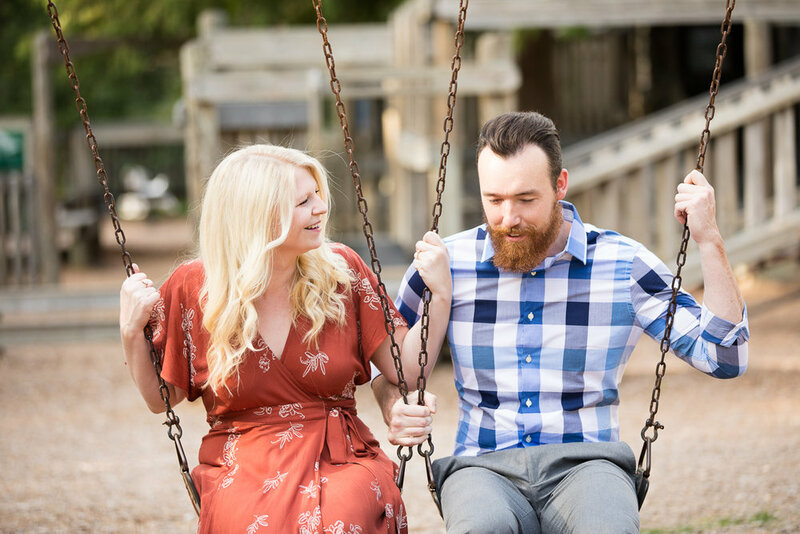 I hope you enjoyed this little peek at their engagement session as much as we enjoyed spending the afternoon with these two sweethearts!